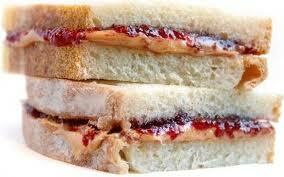 It seems as if Independence and Gratitude should go together like peanut butter and jelly doesn’t it? For the last few months I was having a difficult time making the connection. It probably had more to do with the fact that one ingredient was non existent for me and all I could focus on was one, independence. In many ways independence had suddenly been thrust upon me even though I had been begging for it. I been begging like it was my 18th birthday. Like a newly found independent youth, I wanted to do everything all at once. And I did. My parents had not set criterion for me in years. For the first time in 17 years I didn’t have a husband or pseudo husband to answer to. I no longer had a program with guidelines and rules dictating my every move. Sure I had the children to consider, but I didn’t answer to them. Just me and the world. Awesome! If I wanted to go to an art show, I went. Go to dinner with a friend? I’m on it. In fact, the luxury of not hearing a flat out “No”, “that’s boring”, “I think we should stay in”, “we have my plans first”, or “what would the neighbors think” had me intoxicated. Drunk off of freedom to stay up late, do anything, and say anything… I over did it. In the process of experience and exploration I lost something. While I was in the rehabilitation program I had time to reconnect with myself. This allowed me to feel again. Now that I was older, wiser, and had more knowledge in general, I was able to feel in a way that would sometimes leave me exhausted. I could sense the emotional atmosphere shift around me. This ability allowed me to feel my way to decisions that were right for me. I was so distracted by “doing” that I hadn’t noticed this endowment slip quietly beyond the fringes of my awareness. I was a cat with foil on my feet, unable to divine where my foundation was. I was like this for about four months until climaxing about two weeks ago. I couldn’t figure out which direction to take the next “chapter” in. I was panicked and consistently on the verge of tears. How do I find my way? How do I “feel” again? Time to tweak my perspective. Looking at my life from the attitude of gratitude allowed me to feel the one thing I really wanted to focus on. I was suddenly aware of what I am passionate about. That was all I needed to know. What a beautiful place to start. The elements I perceived were working against me, when reviewed through the eyes of gratitude, could really work for me. I simply needed to take my independence and give it a little structure and focus. I can build my working life around what I am passionate about. I am passionate about helping others discover their voice, especially those who struggle with abuse. Through the exploration and explanation of Domestic Violence I can help others identify their own strength. Independence just needed balance from gratitude. Peanut butter and jelly.